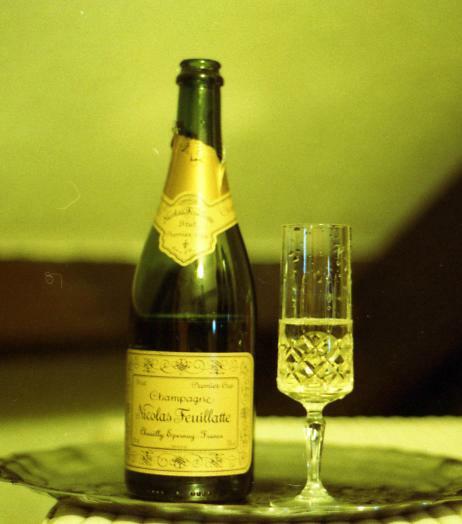 Among major Champagne houses, Nicolas Feuillatte is a relative newcomer. Yet it is the best-selling in France and the third most popular brand worldwide, with sales of close to one million cases. The real-life Nicolas Feuillatte was a coffee baron, a diplomat and a bon vivant. He golfed with the Kennedys and counted Jackie Onassis, Lauren Bacall and Yves Saint-Laurent among his friends. He started his Champagne house in 1976 with 30 acres of vineyards. Ten years later, he sold the brand back to the growers, an interesting move reminiscent of letting the inmates run the asylum. 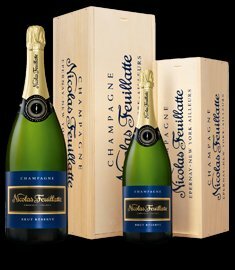 The consortium that owns Nicholas Feuillate today comprises over 5000 growers and controls nearly 10,000 acres of vineyard land. At the Centre Vinicole outside Epernay, headquarters of Champagne Nicolas Feuillatte, I was fortunate recently to do an in-depth tasting with Jean-Pierre Vincent, Feuillate’s Chef De Cave. Vincent has been with Nicolas Feuillatte since 1986 and is scheduled to retire at the end of this year, so this tasting was a special opportunity to look into the heart and soul of a major Champagne brand. We began with a quartet of current releases. The non-vintage Brut ($35), according to Vincent, is “the most difficult to do,” because climate and vintage vary constantly but the style of the wine must be uniform. 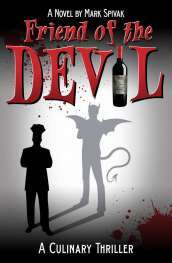 It had hints of red fruits and an underlying richness that emerged on the finish. The NV Brut Rosé ($45) was solid and well-proportioned, filled with luscious flavors of raspberry and strawberry. A pair of vintage Blanc de Blancs followed. The 2004 ($50) was filled with bright Chardonnay flavors of lemon, apple and pear, while the 1998 ($45) was rich and honeyed, infused with notes of citrus and bread dough. 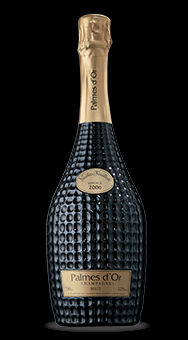 Vincent then uncorked four vintages of Palmes d’Or, the Nicolas Feuillatte luxury cuvée and the ultimate expression of the house style. A 50/50 blend of Chardonnay and Pinot Noir, Palmes d’Or is only produced from the best wines in exceptional vintages years. The 1999 ($130) was rich and layered, with a medley of flavors coming out on the finish---honey, vanilla, citrus, brioche. 1995 ($175) was bright and assertive, with persistent lemon flavors and a creamy finish that was both charming and compelling. The stunner of the day was the 1990 ($215), full-bodied and vibrant, with hints of Sherry yet feather-light and distinctive. Vincent’s sentimental favorite, the 1985 (the first vintage of Palmes d’Or), was remarkably balanced and harmonious, showing slight signs of age but still firm, ripe and a pleasure to drink. The selection process for Palmes d’Or is more rigorous than many other luxury cuvées in champagne, which means that fewer vintages tend to be available. When a vintage is declared, however, the wine is relatively easy to find in the retail shops, and well worth aging for the future.